I don’t merely read the bullet points. I read reviews, forums and see travel pictures submitted by the users on travel websites. I read the map of the city too. If I visit a city, I know it’s map at the back of my hand. 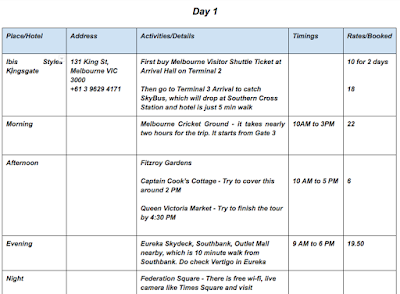 This step helps me in calculating the number of days required to cover the city and also in making the itinerary. Calculate the Cost - A trip has to pass the cost stage. There are many costs that should be kept in mind apart from travel, hotel, and food. One must take into account - travel from airport to hotel and back, travel cost within the city, attraction fees, car rental, shopping and also keep a margin of 15% for impromptu expenses. I canceled Alaska Trip as it failed to pass the cost test. It was way too costly for our budget. I calculate all the expenses to arrive at a final decision. Best places to take pictures of the city. Very very important for my husband. Best means of transport - Sometimes public transport is faster and cheaper. Also, if we are driving a car, I check for parking, which is a big concern in all cities. Places to eat, it’s important as we are vegetarian. Last, but not the least, I check for hotels. We prefer to live in the city to get the feel of it. 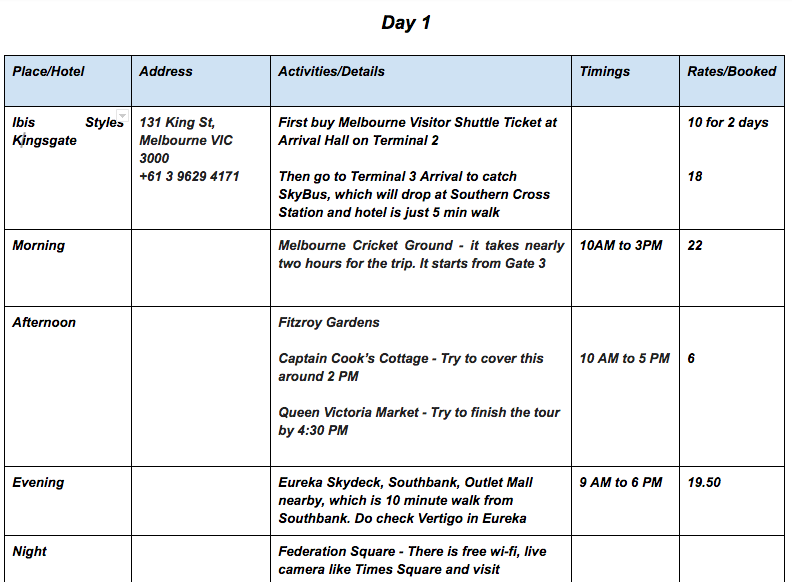 At this stage, I make notes which help me making the itinerary. Bookings - I check and compare different airlines to get the best deal. I do the same for hotels. And, we book. I also check for online deals on Groupon. After comparing and reading the reviews, we book the flight, hotels and buy online entry tickets. A trip doesn’t end once I come back. I am so thorough that I make an account of our spendings. I know the cost of each vacation to the penny. The best part is - as much as I enjoy traveling, I enjoy planning for it too. In fact, it’s my stress buster. 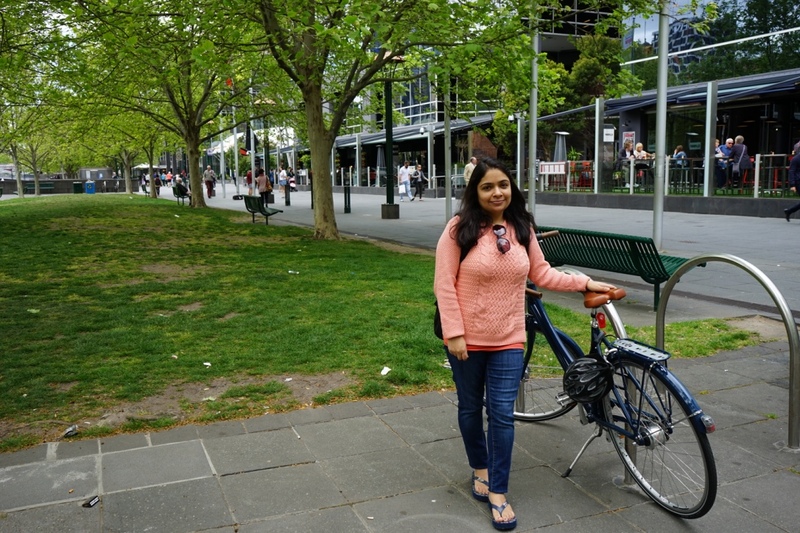 P. S. - As I have talked about my Australia trip, here’s a picture of yours truly enjoying Melbourne city. Good tips. It's especially important to research the attractions. Great post Saru; I too research the place thoroughly and prepare an XL of the schedule each day. The research part is really very important to avoid any disappointments...as it involves cost. But love all your vacation pics. Alok is a brilliant photographer. Wishing you many merry vacations. Wow! 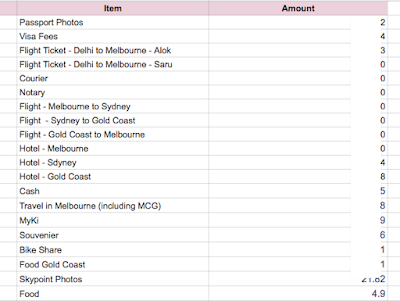 Now that's called planning to the T :D. I guess I have a lot to learn from this which hopefully I can implement whenever I do take my first vacation on my own expenses.